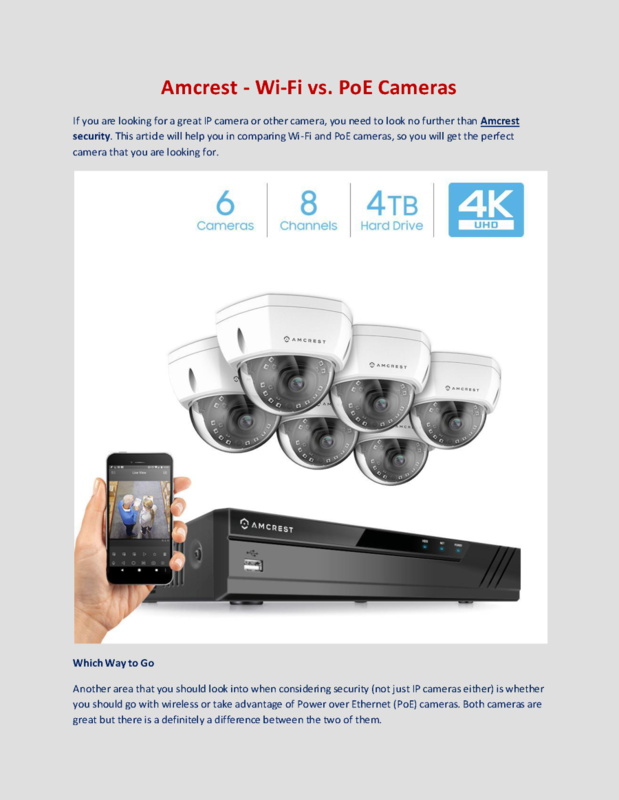 Amcrest is a relatively new player in the home surveillance systems market. Its systems have excellent daytime video quality compared to others we tested. Amcrest - Wi-Fi vs. PoE Cameras If you are looking for a great IP camera or other camera you need to look no further than Amcrest security. This article will help you in comparing Wi-Fi and PoE cameras so you will get the perfect camera that you are looking for. Which Way to Go Another area that you should look into when considering security not just IP cameras either is whether you should go with wireless or take advantage of Power over Ethernet PoE cameras. Both cameras are great but there is a definitely a difference between the two of them.